Have you heard about making money with affiliate marketing but you aren’t even sure where to start learning about what works and what not? Wondering how come some of the people in the affiliate marketing industry make loads and loads of money while you failed so far? Looking for straight answers about becoming an affiliate after all you’ve got so far were riddles? Give yourself a round of applause, because you just reached one of the gates into the world of affiliate marketing and the knowledge we gathered for you can only be described as massive. Michael Cheney, the affiliate marketing leaderboard king, sat down with me to discuss how to start out as an affiliate marketer the right way, select your niche, find the best products, and get record conversions. Keen to start making money with affiliate marketing yourself? Visit Michael’s Commissions Machine page – he is an AMAZING teacher, very down to earth and fun to learn from. First of all, thank you for visiting the 7 Figure Furnace website. As you might have noticed, we’re a rapidly expanding community of internet marketers and product creators looking for the best ways to sharpen our tools and minds, and we usually do it with the help of our esteemed guests. That is also the case in this 7 Figure Furnace episode when Michael Cheney is our guest. He is talking to us about making money with affiliate marketing, taking us through the most common people staring up face and how to overcome them. For those of you who aren’t familiar with his name, let us just say that he got where most affiliate marketers want to go. He’s been in the internet marketing game for years and has generated several million dollarsí worth of revenue from his internet businesses. His name appears on the leaderboards of the most popular affiliate marketing platforms, so there’s no surprise his students and mentees praise him for how vital his advice was for their success. If you’d rather listen to the episode than read about in, go ahead. I won’t mind. You can always come back later to check out the resources and links Michael talks about in the interview. You can also subscribe via iTunes, RSS or Stitcher. Back in ’99, Michael Cheney was building websites and testing the powers of SEO, helping business owners get noticed, but he realized there would always be a limit to the number of people he could see every day, and thus to how much money he could make. He realized he had the marketing knowledge to do more, but he was just not applying it to his own business. So he did something about it – created a first digital product and started selling it online. There were no more restraints. He made good money. Currently, he only focuses on making money with affiliate marketing, selling other people’s products, finding appealing angles for promoting those products. With digital products, you can sell as many as people want to buy, you don’t have to invest your time to make sales one by one, or handle shipping. With affiliate marketing, you don’t even have to sell your own products. The possibilities are endless. 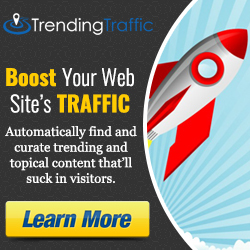 Think about web traffic. Everybody wants it. A product that delivers something people want is a product that will make you money.† With affiliate marketing, instead of creating a product that helps people get free web traffic, you find a product created by somebody else that does that. You promote it, and you receive a commission for each sale you generate. As you can see, affiliate marketing is simple – you find and promote products people want. You’re the middleman matching the prospect that has a problem with the product that is the solution. When you make that connection and the potential customer buys, you receive an affiliate commission of 15% or more of the value of the product. This might come as a surprise to many people, but you don’t have to be a programmer or a designer or an advertising guru to get started with affiliate marketing. The most important thing is the traffic you’re able to generate and to do so you don’t even need a website or an email list. If you don’t want to, or you just don’t afford to pay for video ads, solo ads, Facebook ads, or AdWords, you don’t have to, you can start without any of those things. You can start with a free WordPress.com blog or a Facebook page, you don’t even need a website. You can slowly build you reach by using what it is available to you. The only things you’ll need is a JVZoo account so you can find the products you could sell and a way of getting your message in front of people. The easiest way to do this is to create a new Facebook account or Facebook page. Start building a network by initially following groups, pages, people that are involved in the online marketing space. Don’t start promoting products from the start. Listen to others are saying, then start contributing, adding value. Start bringing external articles into discussion, share useful resources. Only after these initial 24-48 hours you can start introducing the products you’re promoting. People who started this way quickly made a few hundred dollars a day; all with no list, and no website, and no money for ads. As long as you know the right way to find the best products and the best way to promote them, you should be able to succeed in making money with affiliate marketing. The principles of affiliate marketing are the same, no matter what niche we’re talking about: you spot in a problem, you find a product that offers the solution to that problem, and then you get the message about that product in front of the market. Make Money Online always sells, it’s always a hot topic, and you should go where the money is. Chasing your passion and finding a niche that would help you monetize it might prove to be a more difficult path that it should be. By entering, at least when you’re starting out, in the Make Money Online niche, you can make sure you’re doing the thing you came into this space to do in the first place – to make money. With affiliate marketing, you should be able to build a business that enables you to go off and fulfill your true passions in your spare time, or in the time you set aside from work especially to achieve your personal goals. Michael Cheney uses the MMO niche as a vehicle to get a lot of money in and a lot of free time to follow his passions without worrying that he can’t find a way to monetize them, but that doesn’t mean he doesn’t love internet marketing. Some people fixate on finding a niche that would help them make money off their hobbies and passions. This can be an excruciatingly painful process, that could also take many years. By going where the money goes, you give yourself the opportunity to branch out later, or to dive deeper into another niche you’re interested in. There are metrics you could analyze to determine if a product would be a good choice, and these are readily available on platforms like JVZoo that connect affiliate marketers and vendors. Who is the audience? How easy can you reach those people? Do you like the product? Are you naturally drawn to it? Do you understand the product? Do you see why people would buy it? If you’re not scoring high on all of those factors, it’s going to come up when you’re promoting the product and people are going to see that. If you see something that offers you $100 per sale but you have no understanding of it, people will see right through you and they won’t buy. Many people fail in affiliate marketing because they’re looking for shortcuts and this field isn’t really about that. Even though it’s so easy to get started, you still need to do it the right way. If you just use the swipe files you get from the vendor and set your campaign up like everybody else, you’ll just get the same results as everybody else. People react well when they see an affiliate using and getting great results with the product they’re selling. The usage-results proof is very powerful in generating conversions, but this can’t always be the case. For many products, you just don’t have the time to use the product and get some case-study worthy results before your promotion starts. If you can’t test a product, at least buy it. Demonstrate to people, on video or with a screen shot, that you trust the product enough to make a purchase. If you used it or not matters less, but you need to show people that you have bought the product. This will go a long way in generating sales for you for that product because the prospects can see you’re not just promoting the product for the commissions, you’re proving you believe in the product. People are usually afraid they’ll have people unsubscribe if they email them too often, or if they post too often on Twitter or Facebook, but Michael Cheney doesn’t think that way anymore. For each campaign he runs, he sends out 25-30 emails. He emails people 3 times per day. He figured out that his emailing frequency is actually helping him generate more sales, thus more revenue, and the burn rate isn’t even as bad as people think it would be. When he first started making money with affiliate marketing, he wasn’t even emailing people daily. When he began doing it daily, he saw his earnings going up and he wondered what would happen if he’d email people twice per day. The result was more money. When you’re blasting so many messages out there, content is also crucial, because you need to really bring something useful to the table. Michael Cheney believes in edutainment – he entertains and educates. Give people one little thing that would draw them to the rest. Gary Halbert once said that the reason why most people buy something is curiosity, not benefits, nor features. If you can use that in the messages you put out, you’ll get traction, people will click to see the rest. You need to use a little thing like “You’ll Be Shocked to See How Easy You Can Rank on Google in 20 Seconds” or ì42-Year-Old Man Makes $30,000 Worth of Commissions per Month with No List, No Money, and No Ads” and then draw people in with the rest of the promotion. You don’t want to answer the entire question in an email, but you want to hook people and get them to click. Every email you send should have a link to something people can buy. Pitch people constantly but do it in a fun, entertaining way so they wouldn’t lose interest. Don’t use a swipe file when you can talk from your own experience, from what you achieved or learned after you bought the product. Most affiliates email people or post a message somewhere and they start explaining how the product works, what are the benefits, but that is something that everyone can do. You can actually differentiate yourself by sharing your own experience with people. Don’t walk on eggshells with the people on your list or on your Facebook page or website. You donít have to sound like an affiliate marketer. Use whatever language you want, express yourself in your own way, embrace your style. This is something that you’ll later wish you did from the start because it really helps you stay connected only to the people that click with who you are and what you have to offer. Decide what niche you’re going into. Go to JVZoo, sign up, see what products are available. Check out the metrics of the products – try to understand what is popular, what people are buying. Get a new Facebook account to use for your internet marketing. Or setup a free WordPress blog. Start connecting with people relevant to the niche you selected and their friends. Start contributing and get noticed. Slowly start introducing products to your newly created network. Figure out how you can increase your exposure, been see by more people. The first 7 steps could be completed in 48-72 hours, and it will cost you nothing. So, don’t hesitate. Start making money with affiliate marketing today!